EXCLUSIVE. Asian Development Bank (ADB) has selected Everest, a California-based firm that uses blockchain for know-your-customer (KYC) purposes, to fix a cross-border issue in Samoa, Australia and New Zealand. The contract with ADB was signed on 1 March this year, with the implementation starting immediately and expected to be finished in Q3 of this year, Everest CEO and co-founder Bob Reid tells FinTech Futures. Everest was granted the contract after the call for proposals by ADB was made in October. ADB is an international development finance institution dedicated to reducing poverty in Asia and the Pacific. It is headquartered in the city of Mandaluyong, Metro Manila, Philippines. The Everest platform will support identity, KYC, anti-money laundering (AML), e-wallets and transactions for Samoa, and thus will be installing its platform in the Samoan Central Bank. The platform will ensure regulatory requirements compliance to enable money transfer operators (MTO) from New Zealand, Australia and Samoa to send cross-border payments. In Samoa, digital ID is one component of an e-gov or e-bank solution. For a government or bank to deliver services digitally, they need digital ID, e-wallet, transaction ledger, data exchange layer and e-money. In other words, the CEO explains that Everest’s platform will standardise the KYC compliance so that every citizen in the country can have a e-wallet (EverWallet) by compiling information (EverID) through biometrics, scan official documentation and identity verification through third-party checks, which plug into the platform itself. Reid tells us that the solution offers a robust and secure system able to future proof KYC processes and needs digitally. He also stresses how, as much of the population doesn’t have access to a smartphone, it was important that these e-wallets were accessible from any type of device. The firm’s platform uses one Euthereum-based blockchain (EverChain) to support the EverID and the EverWallet, and a second Everchain to manage interfaces with banking systems. 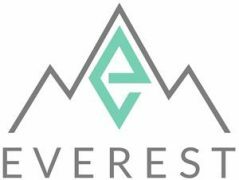 Everest’s CEO adds the firm is currently working on rolling out more systems of similar characteristics and that South Asia is its main target market at present.